Market State 1: Bullish/Rational (71 trading days): We are in a Low Risk/Bullish market environment. The most recent three-month run in the equity markets has been very efficient and orderly. The 71-day streak, in Market State 1, speaks volumes. A 3% or 4% correction, from the peak, is typically enough for a shift to Market State 2 from Market State 1. Long-term indicators are used to identify the primary trend of the market or security. The Canterbury Volatility Index (CVI), which we will discuss in further detail in the following section, and other related proprietary volatility indicators evaluate the degree of rationality in the current market environment. Short-term supply and demand indicators indicate the strength of the current Market State. The Market States matrix gives an overview of the different characteristics and components that are typical of each of the 12 Market States. Canterbury Portfolio Analytics has conducted many studies on the 12 Market States and has made several observations regarding the characteristics of each. The study used daily market data beginning on 12/31/1949 (over 17,000 trading days). A shift to Market State 1, from one of the other Market States, occurred 252 times. The average number of consecutive days, in MS 1, was 28 trading days. MS 1 included more trading days than any of the other 11 Market States (42.2% of the total trading days). 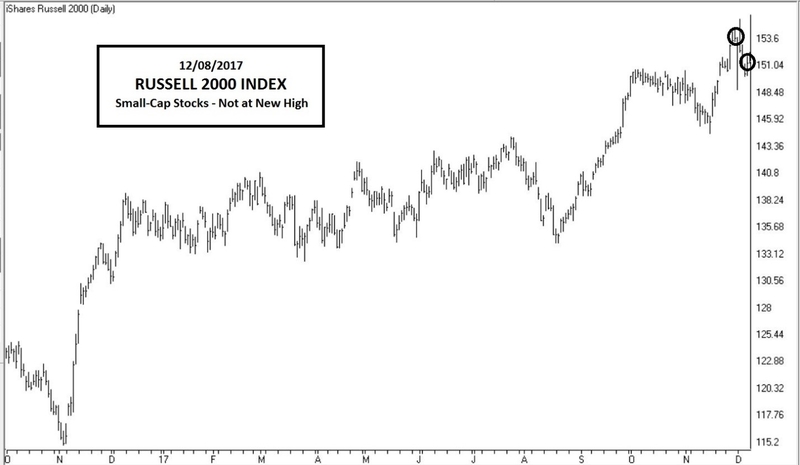 84% of the S&P 500’s new highs occurred while in MS 1. 29 new highs have been recorded during the current MS 1 71- day streak. The largest peak to trough decline (maximum drawdown) experienced was -7.8%. 83% of the maximum peak to trough (max drawdowns) were less than -4%. The largest advance, while in MS 1, was +26.6%. The longest MS 1 Streak was 163 days. The current 71 trading day streak is the 18 longest of 252 Market State 1 segments. Canterbury Volatility Index (CVI 33): Volatility, remains extremely low, although there was a slight increase because of the advance in late November, there was only a small impact on volatility. Single day outliers, of 1.5% or greater, tend to occur with more frequency during periods with extremely low volatility. These “outliers’ can help relieve the built-up pressure from a lack of market movement. Canterbury’s studies show that low and/or decreasing volatility is a primary bullish characteristic. Low volatility typically means low risk. The Canterbury Volatility Index (CVI) is a measure of short term - daily standard deviation and has been converted to an index. One simple method of identifying a low risk environment is to use the following two constraints. Constraints: CVI 75 or lower and value above its 200-day moving average. Qualifying Days: 9,619 (56.3%) days qualified segments. There were 158 unbroken qualifying segments. Maximum Drawdown: Maximum peak to trough decline (11.69%). The test provided statistically relevant evidence that risk can be contained to acceptable levels when the above constraints are achieved. It is rare to experience extremely low volatility in the equity markets. It is rarer still to see extended periods of extremely low volatility. 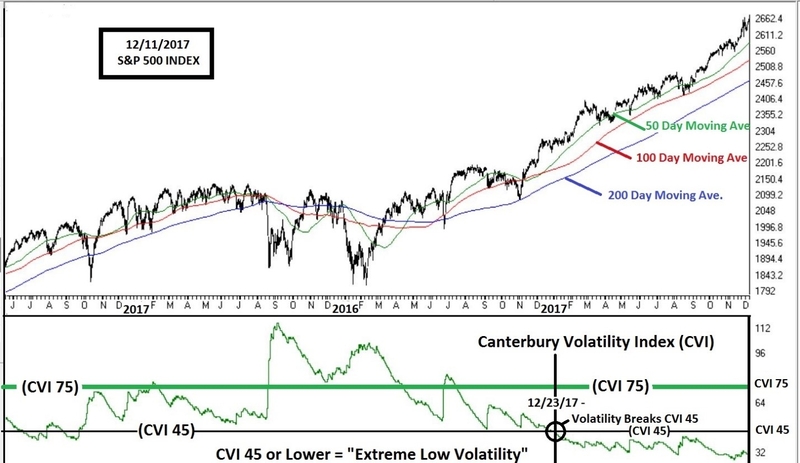 Canterbury defines “extreme low volatility” as a reading of CVI 45 or lower. The S&P 500’s current streak of volatility below CVI 45 has now reached 239 trading days, only 17 trading days short of breaking the second longest streak of low volatility in history. Below is an excerpt from the 10/23 blog on extended periods of low volatility. There are many false assumptions about what drives markets. The existing market environment trumps unexpected, unique events. For example, the worst days of WWII. Canterbury’s records on volatility go back to 12/30/1896 (almost 33,000 trading days). During that time, there have only been a handful of days that have seen volatility as low as it is today. Streak 1: 333 trading days (CVI 45 or lower) ended on June 10, 1965. Streak 2: 256 trading days (CVI 45 or lower) ended on March 12, 1945. Surprisingly, the second longest period of low market volatility occurred during the worst days of WWII. In fact, the market not only went up during the period, but the streak, of “extreme low volatility,” began several months before D-Day. The S&P 500 low at 2085 on November 4, 2016 two trading days before Donald Trump won the Presidential election. Interestingly, the S&P 500 traded 3 points less than the 2088 recorded on 12/26/2014. Many expected the market to go lower with a Trump win. Bridgewater Associates, world’s largest hedge fund” called for a 2000-point decline in 1 day if Trump won the election. One of the self-professed smartest business men and investors ever, Mark Cuban, predicted a market crash if Trump won. Volatility, remains extremely low as the equity markets continue to crawl to higher levels. As I have discussed many times before, low volatility is the weapon of the bull. There is no such creature as a bear market coupled with low volatility. Another characteristic of low volatility is a lack of market response to “low probability-high impact world events.” Surprising events can have a major short-term impact on the markets when a bearish market environment or parabolic bubble is in place. On the other hand, events, regardless of how unexpected, tend to have little impact when markets are stable. 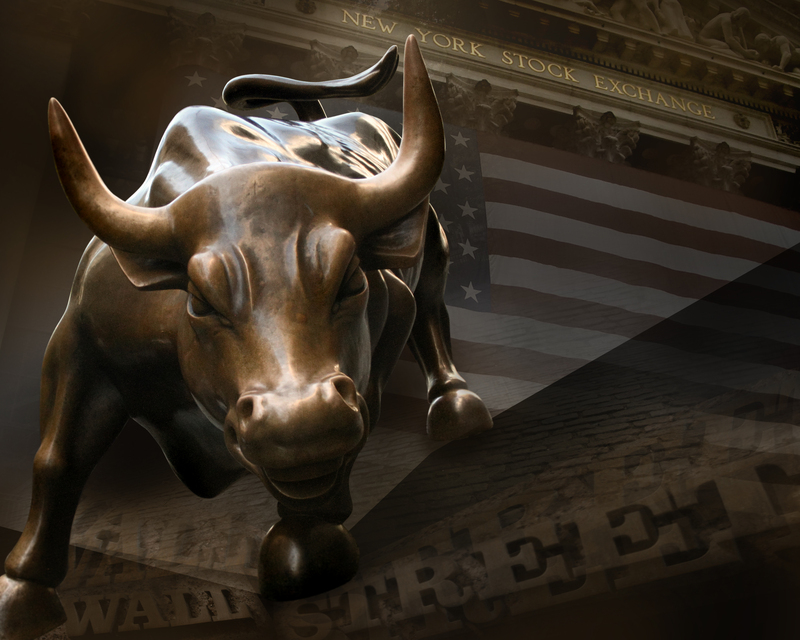 The Dow and S&P 500 are both at new highs. All other major market indexes are lagging. Small cap stocks are the weakest. 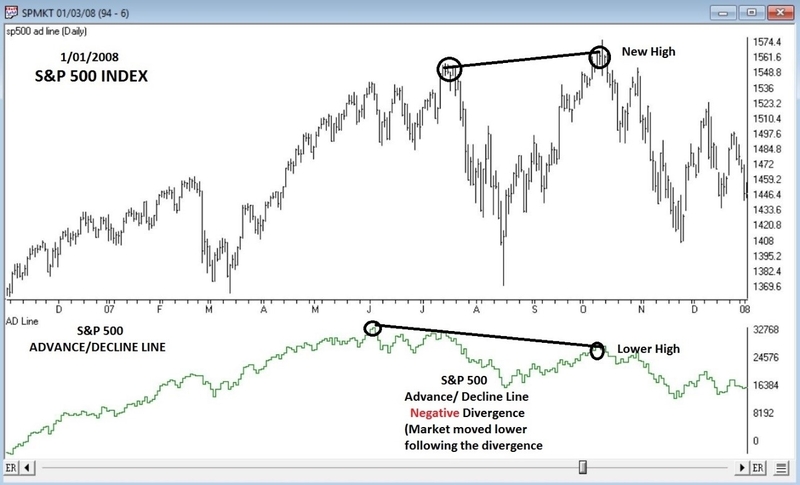 One of the Portfolio Thermostat’s most important longer-term indicators is the S&P 500 Advance /Decline Line. The S&P 500 is a capitalization weighted index. Meaning that the largest companies have more influence than the smaller of the 500 companies. 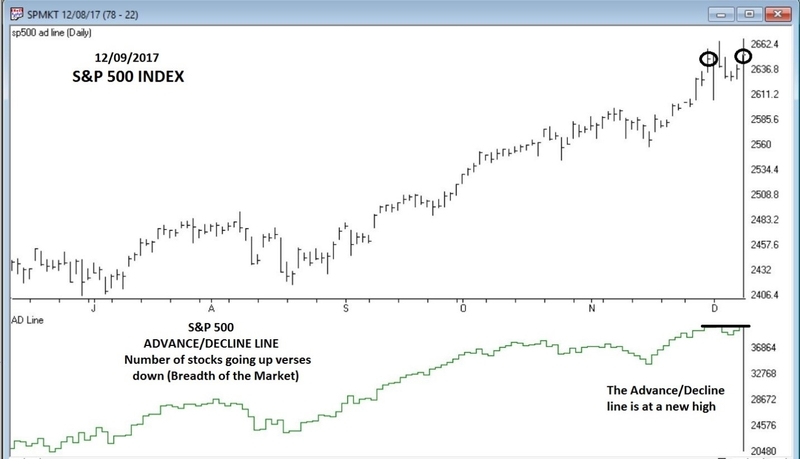 A divergence between the A/D line (how many stocks are going up versus down) can give us an indication of the breadth (is a rising tide lifting all ships or are there just a few very large companies carrying the market higher). Market remains healthy. We will keep an eye on the weakness the small stocks. Don’t worry about the news. Don’t try to make predictions. Don’t take advice based on subjective arguments. Don’t get emotional about markets. Don’t go with your “gut feeling.” Markets are counter-intuitive. Don’t buy into the risk/reward myth. Portfolio management is not about accepting more risk to get a higher return over time.